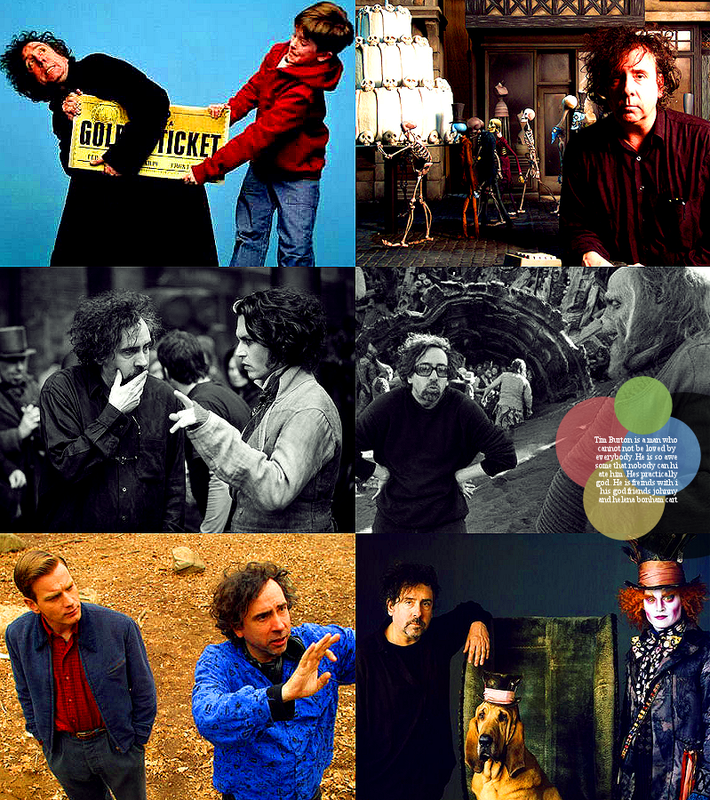 Tim Burton on set. 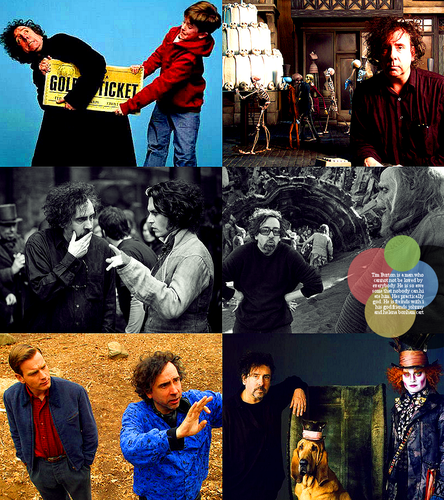 Tim Burton behind the scenes on sets of various movies. HD Wallpaper and background images in the Tim Burton club tagged: tim burton johnny depp sweeney todd charlie and the chocolate factory big fish corpse bride planet of the apes alice in wonderland. This Tim Burton fan art might contain sign, poster, text, chalkboard, street, city scene, and urban setting.